iRealHousewives | The 411 On American + International Real Housewives: Watch The Dramatic ‘Real Housewives Of Potomac’ Season 3 Reunion Trailer HERE! Watch The Dramatic ‘Real Housewives Of Potomac’ Season 3 Reunion Trailer HERE! It's reunion time for The Real Housewives of Potomac! 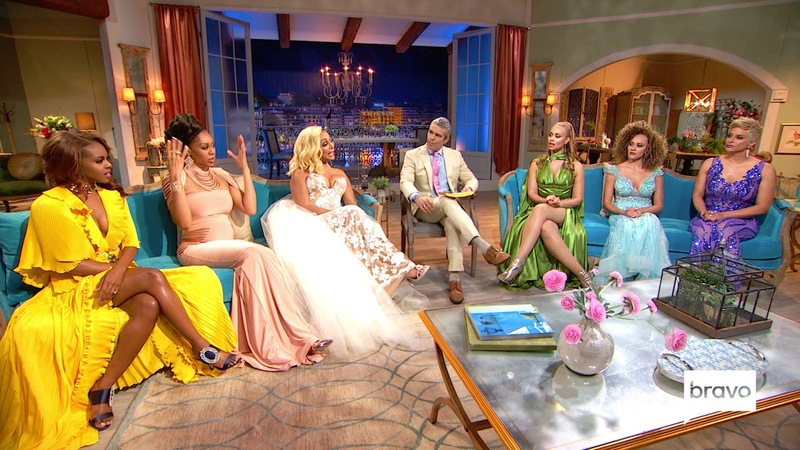 Ashley Darby, Gizelle Bryant, Candiace Dillard, Karen Huger, Monique Samuels and Robyn Dixon, are bringing the drama with shocking accusations and shady drama at their third reunion special. The ladies reunite with host Andy Cohen to rehash the show's most shocking and memorable moments from Season . In this exclusive trailer courtesy via Entertainment Tonight, Ashley Darby blurts out, “She’s not a housewife, she’s a house-daughter,” an attack on her newest co-star, Candiace Dillard, who gets financial support from her mother. Candiace isn’t fazed though, firing back with, “And you’re a house trollop,” much to Karen Huger’s amusement. The husbands will also join the ladies, with Ray Huger seemingly taking the brunt of the questioning by host Andy Cohen and his wife’s castmates. The Hugers, of course, dealt with some mysterious tax issues before the start of the season, with Gizelle and co. never fully believing Karen’s explanation of what was going on and wondering if the couple still lived in their Great Falls, Maryland, mansion or were even still an item. The Hugers turn the tables on the Darbys, with Ray appearing to threaten to expose things he knows about Ashley’s husband, Michael, whom Karen calls a “weirdo” before flipping him the bird. From the looks of the heated exchange in the trailer, the Hugers might have gone so far as to hire a private eye to dig up dirt on Karen’s fremeny, Ashley!